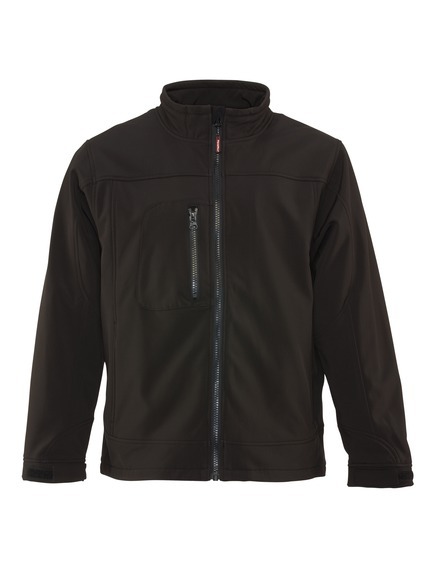 The Refrigiwear Softshell Jacket is a great addition to your cold, wet weather fishing gear. It’ll keep you warm, dry and free to move on the water. Fall and winter fishing can be insanely fun, but it can also be very cold. That is, unless you have the right gear. Refrigiwear is a brand that’s been catering to the commercial cold weather gear space for years, but their jackets are great for fishing too. A waterproof, wind-proof, and stylish jacket on the water can be yours, especially with the Refrigiwear Softshell Jacket. Refrigiwear’s Softshell Jacket is really warm and is rated to be comfortable all the way down to 20 degrees fahrenheit. This means that if you’re out on the boat on the chilly fall and spring mornings, with the water coming in, you’ll stay warm and dry. The soft-shell jacket is stretchy, has plenty of pockets on the sides and on the chest and has high quality zippers that are easy to grip in cold weather. Plus, the neckline comes up high so that you can zip it all the way up and keep your neck warm and the weather out! One of the best parts about the Refrigiwear Softshell Jacket is that it’s lightweight and easy to move around in. The shell won’t weigh you down and comes with a drawcord hem to seal out the cold. Elastic cuffs secure your gloves tightly to your arms without letting air in and there are even hand warmer pockets for when your hands get super chilly. There are over 300 grams of insulation in the Refrigiwear Softshell Jacket and it’s available in sizes small through 5 XL. The jacket is very affordable too at only $95.00 and can be purchased right here. Check out the full line of Refrigiwear products on their website and see the latest hunting and fishing gear reviews on MorningMoss.